Professional photoshoots are a great way to market your brand and business on your websites, social media accounts and presenting to magazine editors. This is why we at FITposium offer the mini photoshoot session at our conferences. This gives you the opportunity to have some professional shots that represent you and the brand you want to launch. Photoshoots are typically expensive, which turns many people away from doing them. But, you need to be in the mindset that photoshoots are a brand/business marketing expense. We have all come across non-professional looking photos used in advertisement, social media and online. These photos you see just look comical, and there is a high chance that no one will spend the time or money on what they are selling in those non-professional looking ads. Finding the right photographer to use for a photoshoot can be difficult, but social media can help make it easier. Maybe you follow some fitness stars and friends who have had some great photos that they have posted! Use this to your advantage, ask them who took them, the prices and what the experience was like. Also, look at some of your favorite fitness magazines and see the photographer that they credit for the photos you like. Working with the top photographers who have been published in magazines, work with athletes and fitness celebrities not only means you will get great photos, but you can establish a connection. Networking is huge in every industry, but even more so with fitness entrepreneurs. This is because we all see trainers, clothing companies, nutrition brands and so much more fitness related businesses that don’t take off. But, if you go out of your way to spend the time and money on networking with the best of the best and those who have worked with the best, it will help tee up opportunities for you and your future. So, a photoshoot is more than just some pictures. It is the way the world, your consumers and potential costumers view you and your brand. Realize that they are a business expense. Know that they can help you establish important connections that could maybe introduce you to a magazine editor, another fitness star or athlete. Either way it will be money well spent if you find the right photographer! 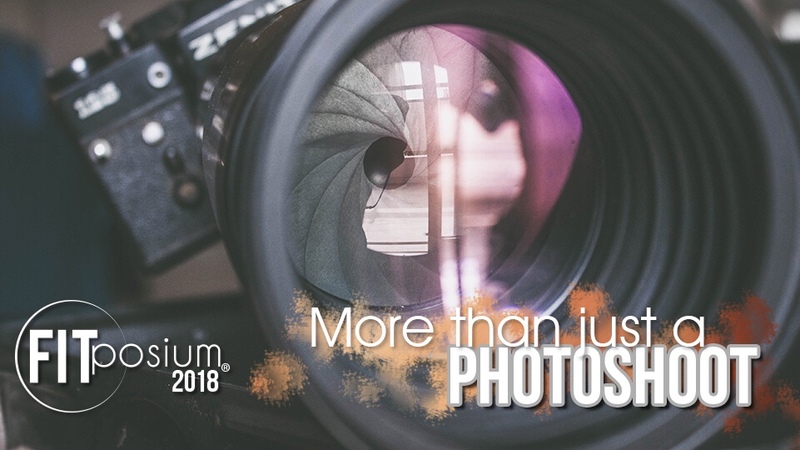 Make sure you come to FITposium 2018 Conference to get the opportunity to have some photos, meet some editors, network with other fitness minded individuals and learn the tips and tricks from top fitness talent! Thank you so much for all your hard work and great advice. I am looking so forward to this event, especially since this is my first time.